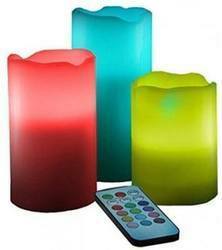 Candle madeup of LED light with different colors is really an exclusive and i sa boom in the industry. Product Description : The LED Candle lamp is perfect for replacing incandescent bulbs. This is applicable for various applications Chandeliers, Decorative wall fixtures, Table lamps etc.